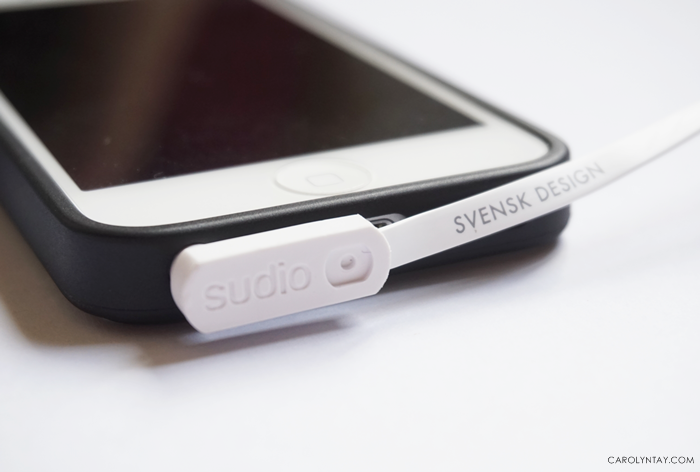 SUDIO is a Swedish lifestyle brand which makes elegant earphones which offers studio quality sound for a third of what they would cost in stores. 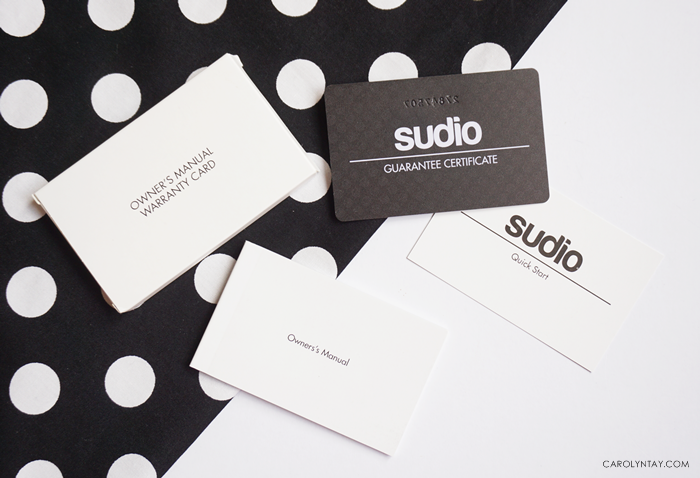 They make a good accessory to complete your outfit without burning a hole in your pocket. 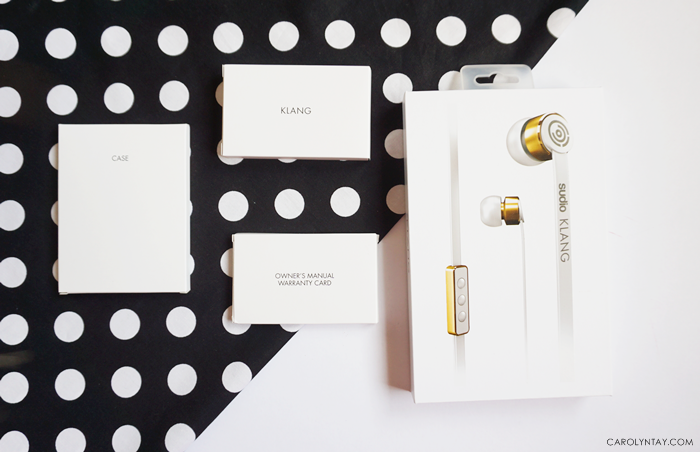 I chosen a pair of white Klang earphones that matches perfectly well with my white iPhone. 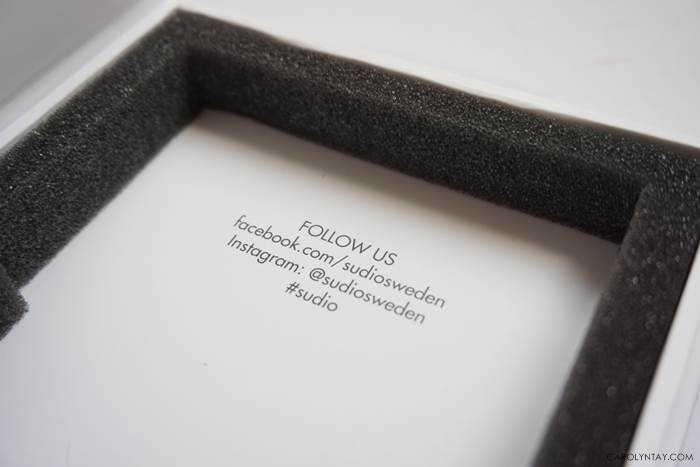 They were mailed over to me all the way from Stockholm, Sweden. 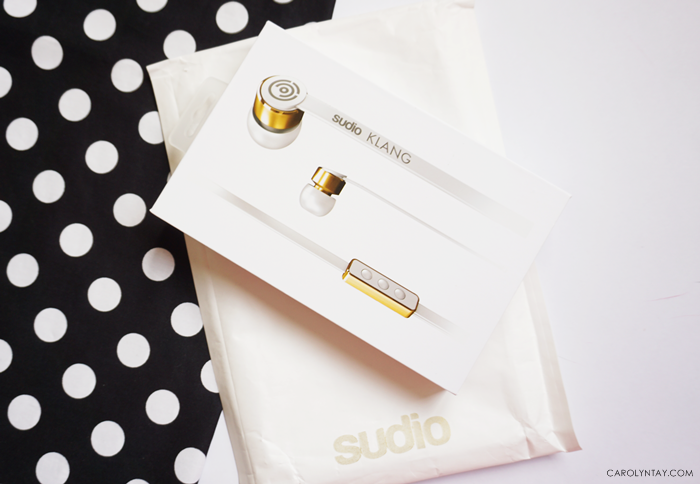 SUDIO Klang - white, black and gold; all my favourite colours in one piece. 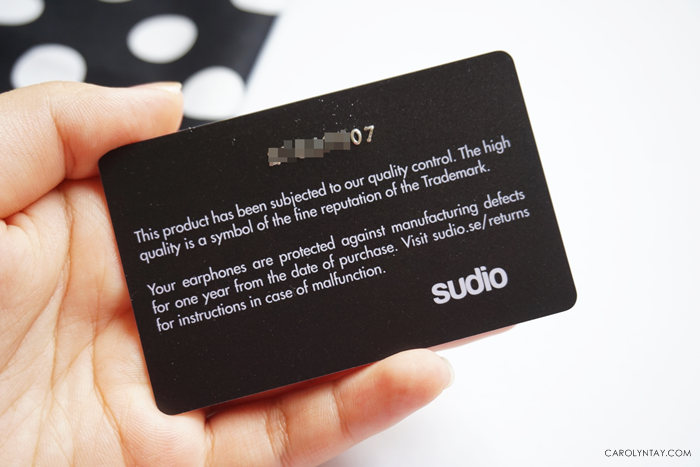 Every earphones comes with a matching genuine leather carrying pouch. 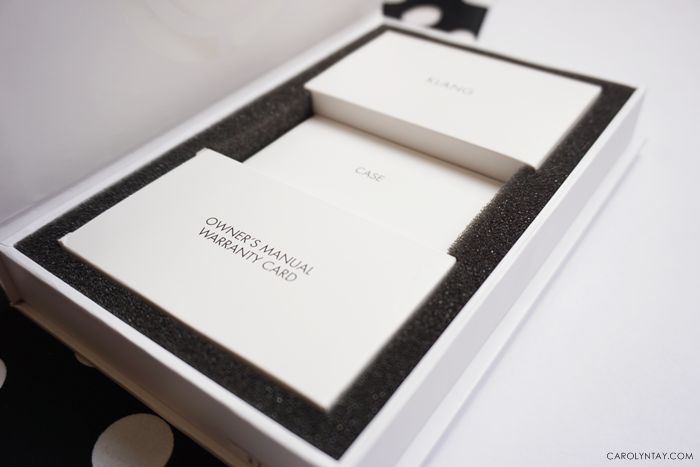 Each earphones also comes with Owner's Manual and a one year Warranty Card. 4 Pairs of Extra Sleeves & an extra metal clip. 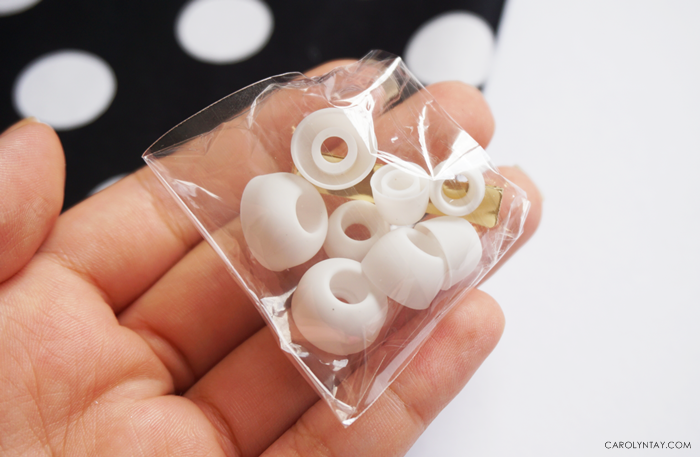 The flat tangle-free cable technology makes it easier to keep them in the pouch. 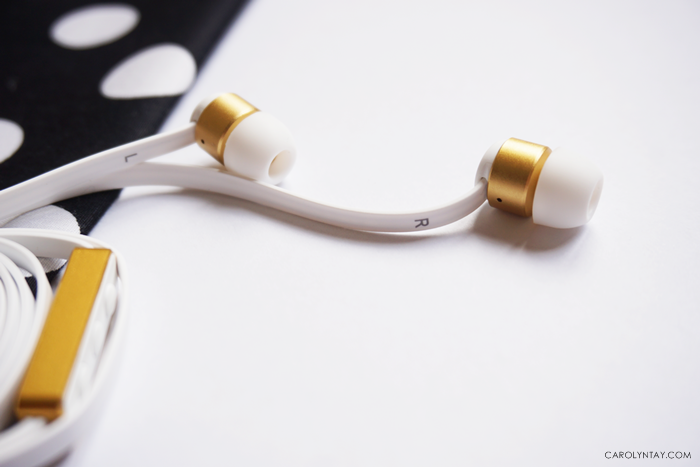 You can also change different earbuds to suit the size of your ear for comfort. 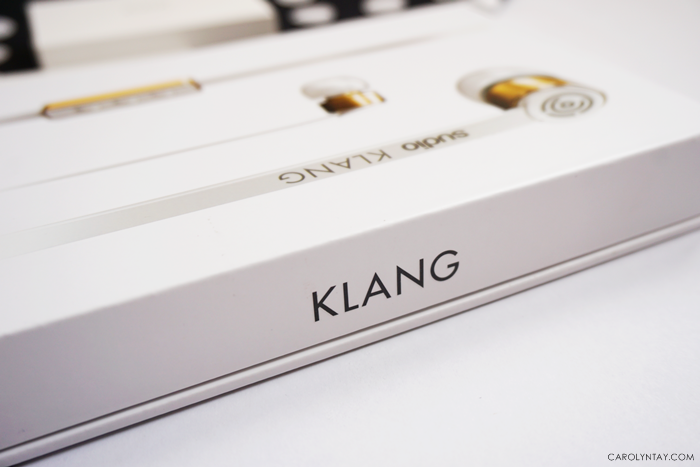 The Klang works best for iPhone, thus having the 3 button function similar to the iPhone original earphones. The golden details and genuine leather carrying pouch makes it so elegant and preppy. 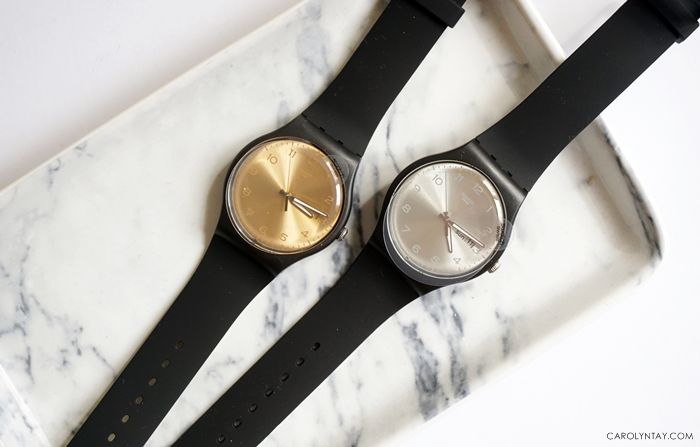 The design is so simple yet minimalist, it makes a loud statement without being a "show off". It also makes my casual outfit look more less boring. 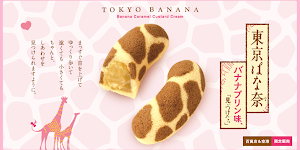 I have been using it ever since I gotten it. 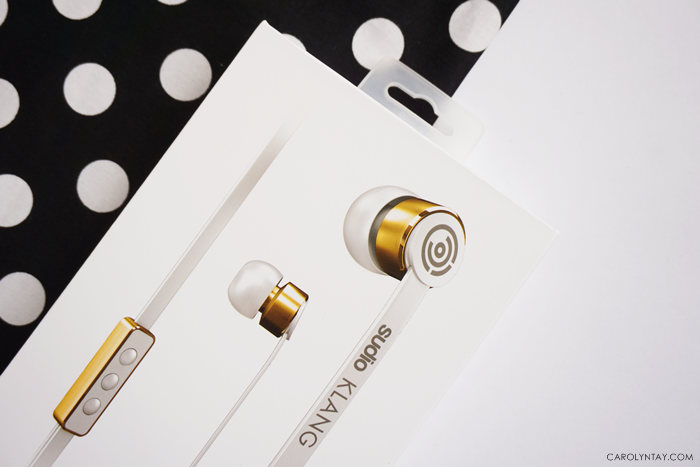 The earbuds fits comfortably in my ear and the sound is of great quality. I love that it has great sound isolation, I can listen to soft music while studying and block the outside noise. 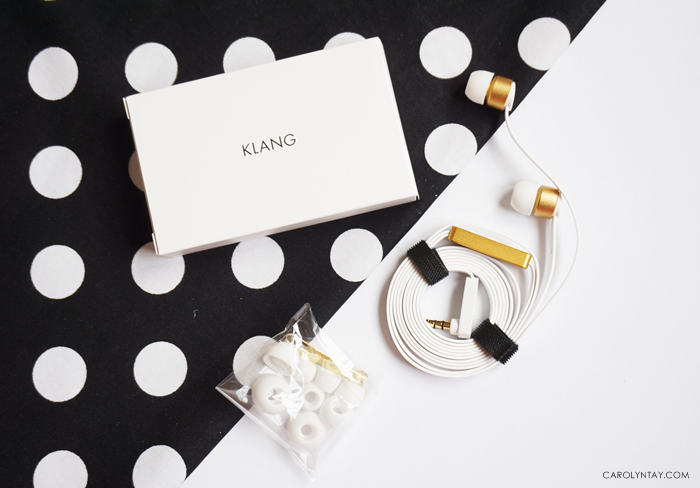 The Klang is unique because one cord has been designed to be longer than the other. 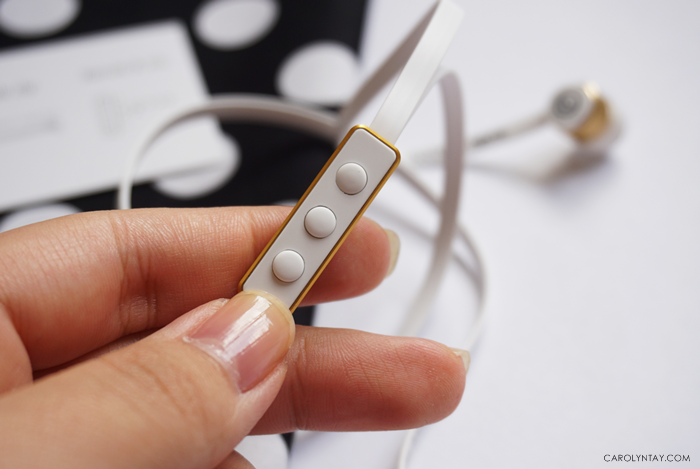 The longer cord receives support from the user's neck to prevent the earphones from being pulled out. 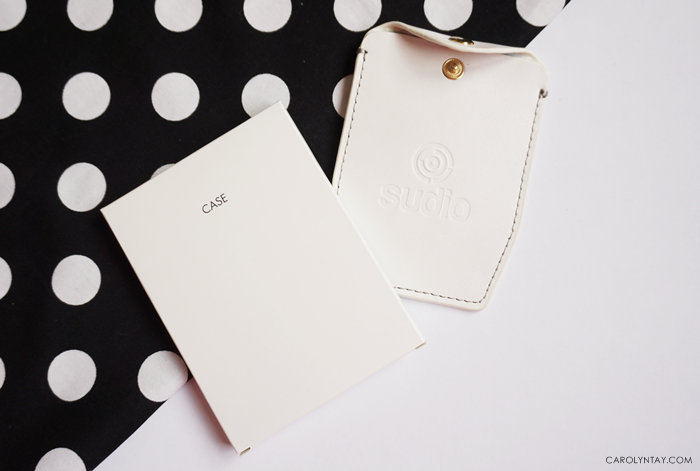 If you are intersted in buying a SUDIO Earphone, you can use my discount code - Carolyntay15 for extra 15% off when you purchase on their website. Don't worry, they provide free shipping worldwide!